I found this recipe here. It was also located on page 22 of the March/April 2007 issue of Taste of Home's Simple and Delicious. This recipe was very easy to make. I thought that it lacked chocolate flavor. My husband on the other hand really enjoyed it. In fact he thought it was store bought. So I guess that says something. 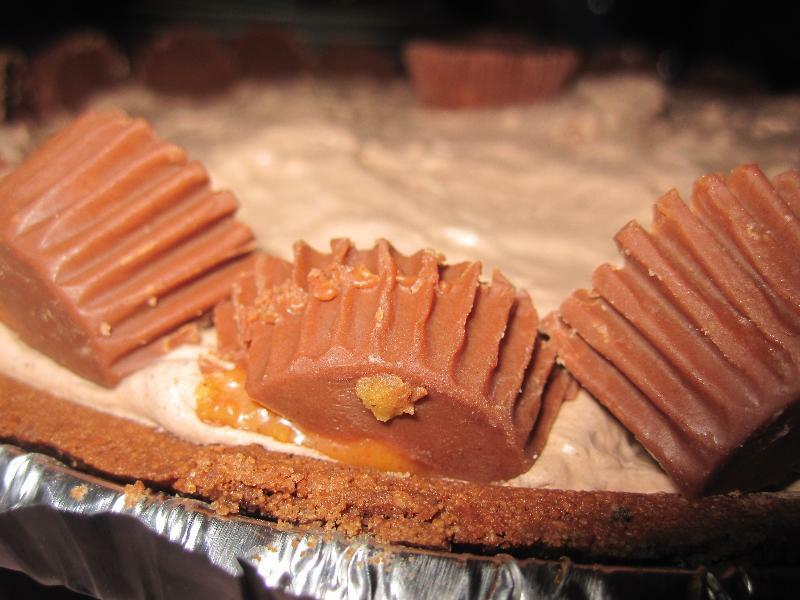 I cut about half of the peanut butter cups in half to use as decorations on top of the pie. Next chop up the remaining cups and set aside. In a large bowl, whisk the milk and pudding. Mix it for 2 minutes. 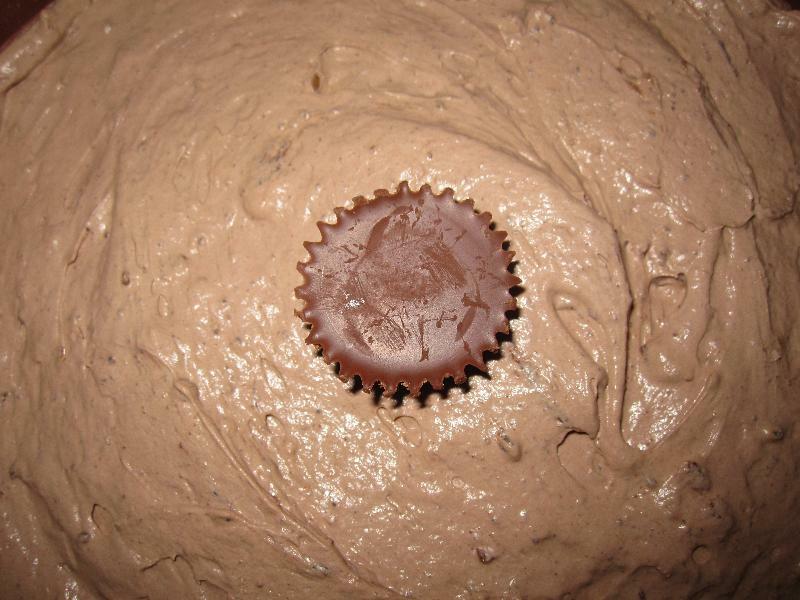 Next fold in the chopped peanut butter cups. Then spoon the mixture into the crust. Finally arrange the cut peanut butter cups on top.